New England Grows slated a score of CEU-approved seminars for the 2014 show, held Feb. 4 – Feb. 6 at the Boston Convention & Exhibition Center. CEU credits will be available through accrediting organizations such as the American Society of Landscape Architects, the Association of Professional Landscape Designers, Northeast Organic Farming Association, International Society of Arboriculture and other professional associations. In addition, pesticide license recertification credit is available from six New England states, as well as New Jersey and Pennsylvania. Credit varies by state. Seminars are scheduled as follows. “Creating Landscapes for Insects … Or Not!,” with Whitney Cranshaw, Colorado State University, Fort Collins, Colo.
“The Predator at Our Door: Emerald Ash Borer,” with Cliff Sadoff, Ph.D., Purdue University, West Lafayette, Ind. “How to Combat the Latest Diseases of Spruce & True Fir,” with Nick Brazee, Ph.D., University of Massachusetts Amherst, Amherst, Mass. 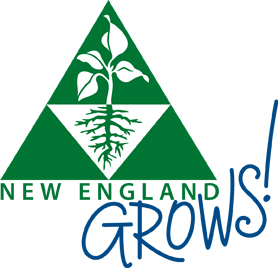 New England Grows is an educational partnership between the New England Nursery Association, Massachusetts Arborists Association, Massachusetts Association of Landscape Professionals and Massachusetts Nursery & Landscape Association. Special savings for early registration are available for attendees who sign up by Jan. 15.